kpicosim is a development environment for the Xilinx PicoBlaze-3 soft-core processor for the KDE Desktop (Linux). The environment has an editor with syntax highlighting, compiler, simulator and export functions to VHDL, HEX and MEM files. It provides more or less the same functionality as the Mediatronix pBlazeIDE (windows). Beta, needs testing. Report bugs, feature requests and comments here. GEZEL2; The GEZEL language is a cycle-true hardware description language. 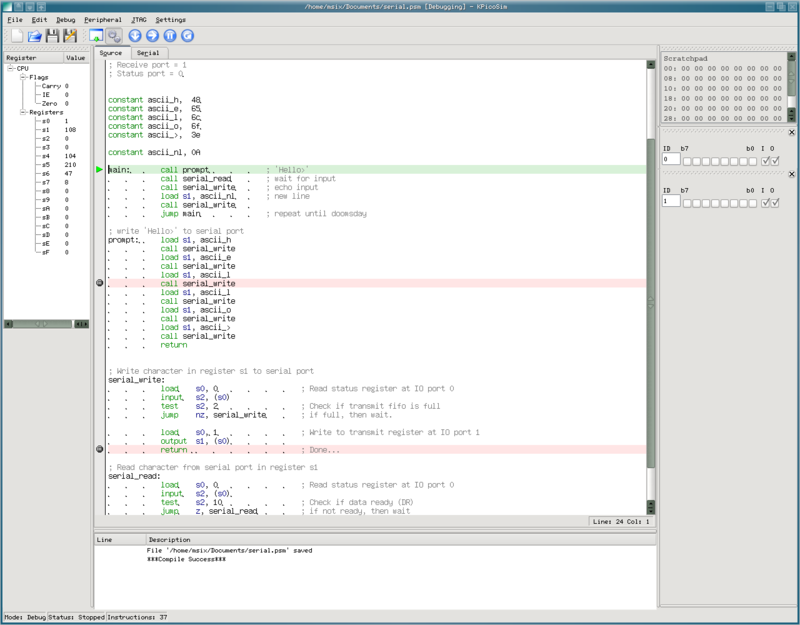 openPICIDE; openPICIDE is an integrated development environment for Linux, developed by Christoph Fauck and licensed under the terms of GPL.